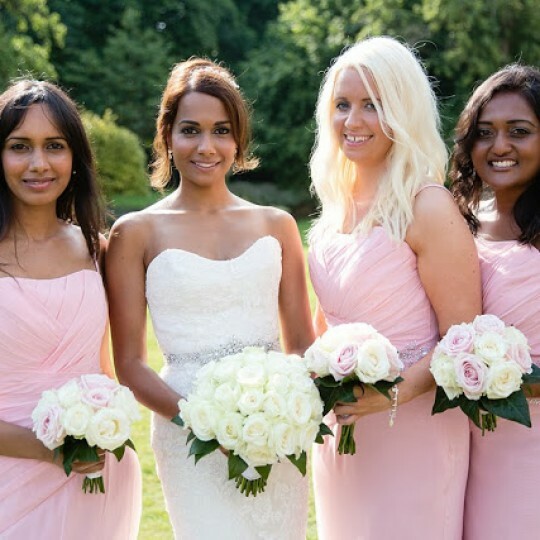 Henry and Krista's Stunning Countryside Wedding Flowers, Buckinghamshire - Joanna Carter Wedding Flowers | Oxford, Oxfordshire, Berkshire, Buckinghamshire and London. 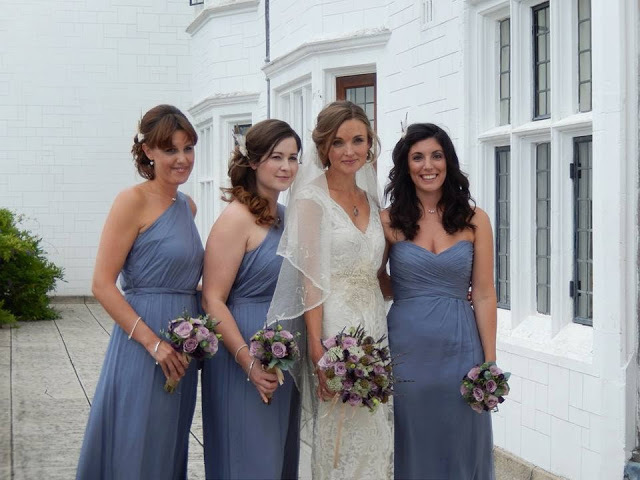 Krista chose a palette of really soft lavender and taupe shades, all designed to be really natural and earthy shades. We used a mix of amnesia roses, deep purple black jewel lisianthus, scabiosa bitterball seed pods and ammi majus for Krista’s bridal work. 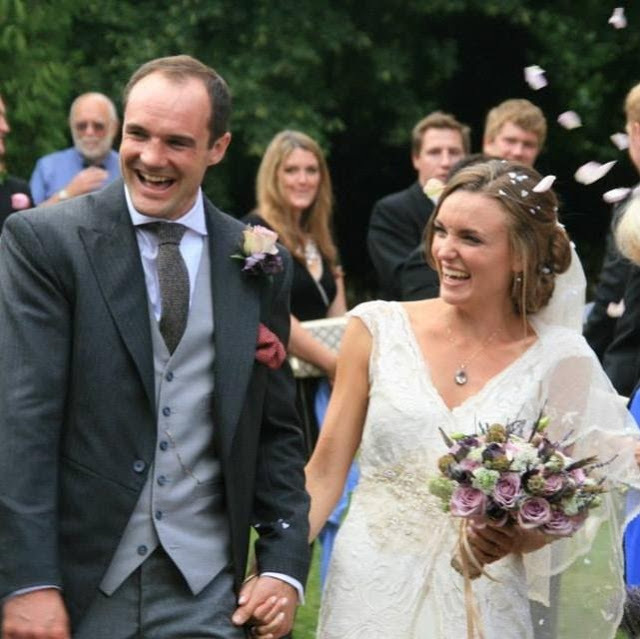 We added a few subtle pheasant feathers to the brides bouquet and wrapped all the bouquets in hessian and ribbon. 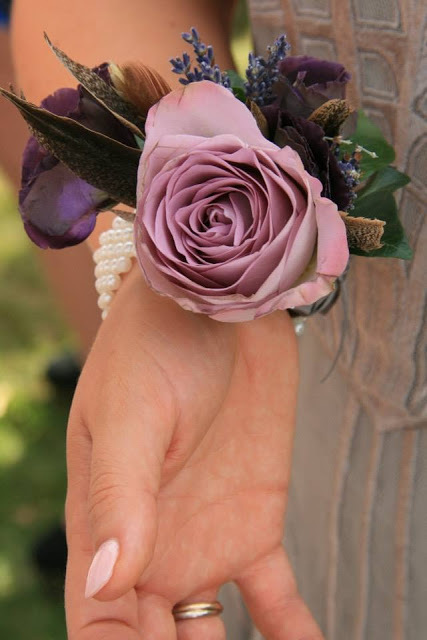 As well as the bridesmaids bouquets, Krista gave beautiful wrist corsages to 9 of her close friends. 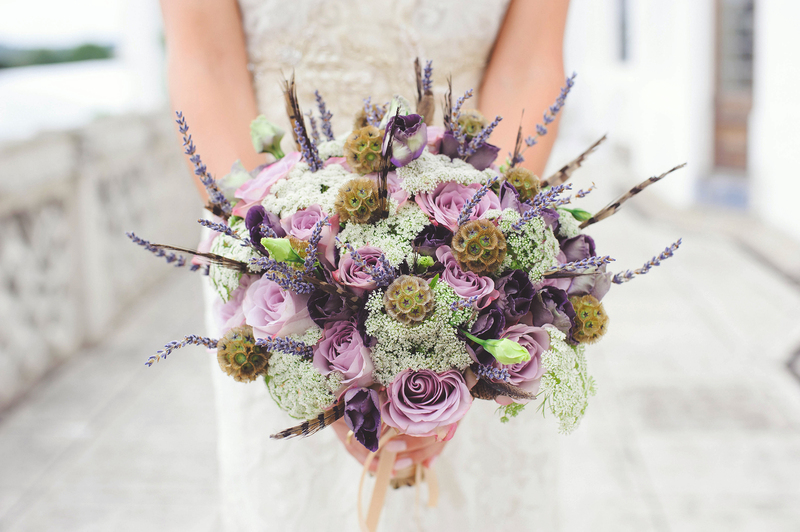 Based on the lovely amnesia roses, we added touches of pheasant feathers, lavender and the black jewel lisianthus. 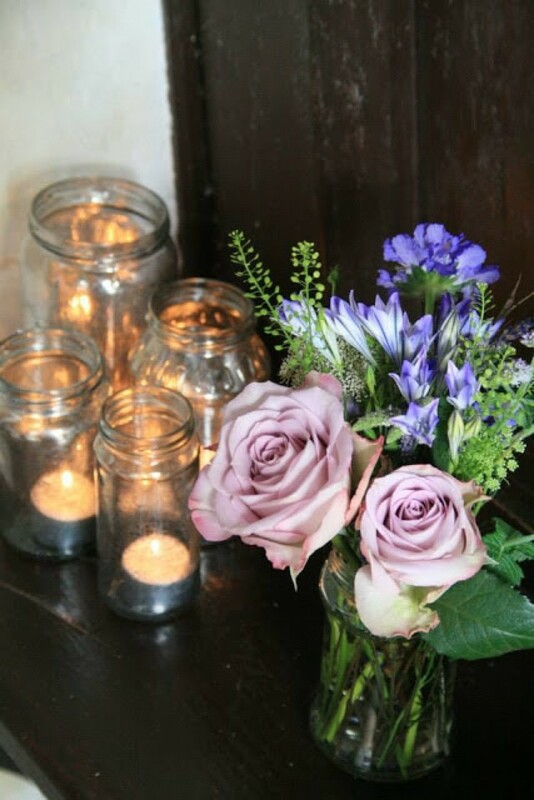 At the church we placed mixed jam jars full of flowers on the window ledges and in the porch. In amongst this were silvered jam jar tealight holders. On the floor of the church porch we scattered dried lavender so that as guests arrived the scent would greet them. 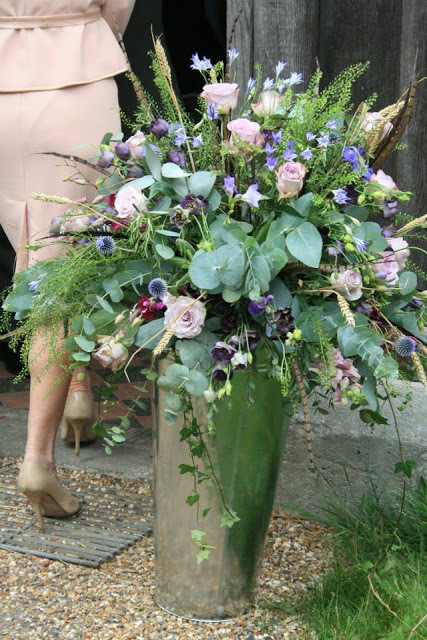 At the entrance to the church we placed two large galvanised steel pails topped with a large arrangement of lavender roses, antirrhinums, lisianthus, echinops globe thistles, brodiea, scabious, thlaspi along with the feathers and wheat from the farm. We made a dozen buttonholes for the men in the wedding party, all different combinations of the roses, wheat, lavender, scabious bitterball, lisianthus and feathers! 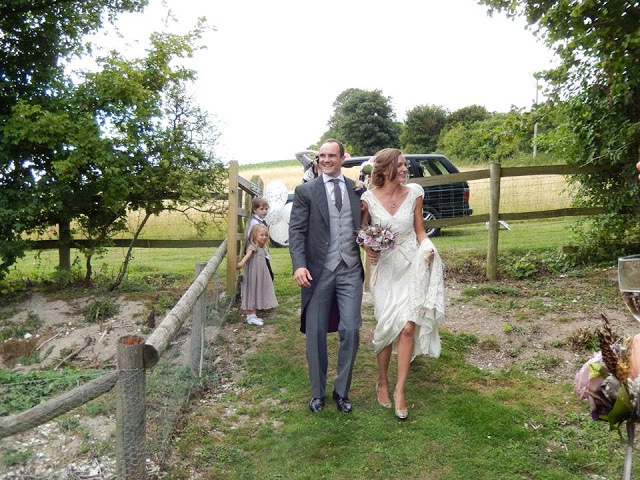 The reception took place in a stunning marquee. 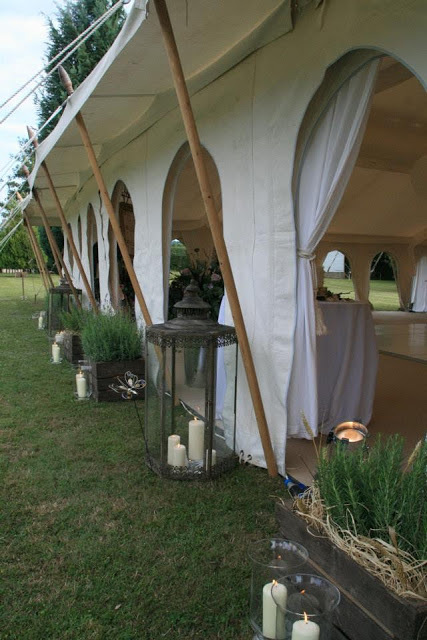 Outside we placed vintage apple crates filled with either rosemary, lavender or hydrangea and interspersed these with storm lanterns filled with large church candles. 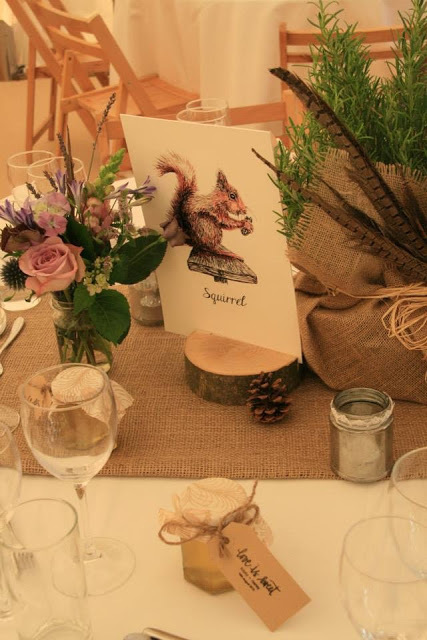 The tables were all named after animals and had either a lavender plant, rosemary plant or hydrangea plant as a centrepiece. We wrapped each plant in hessian and tied it with natural raffia and feathers. Around the plants we placed a trio of jam jars. The cake was a lovely focal point with a feather and wheat filled dome on top!! Home made honey made lovely favour for the guests to take home.